Thanks for sharing your short film with the Picture Show! Tell us a little bit about yourself as a filmmaker (and a person). CSpence Group is a women-owned creative agency where we focus on transforming perceptions and creating meaningful experiences and impact. 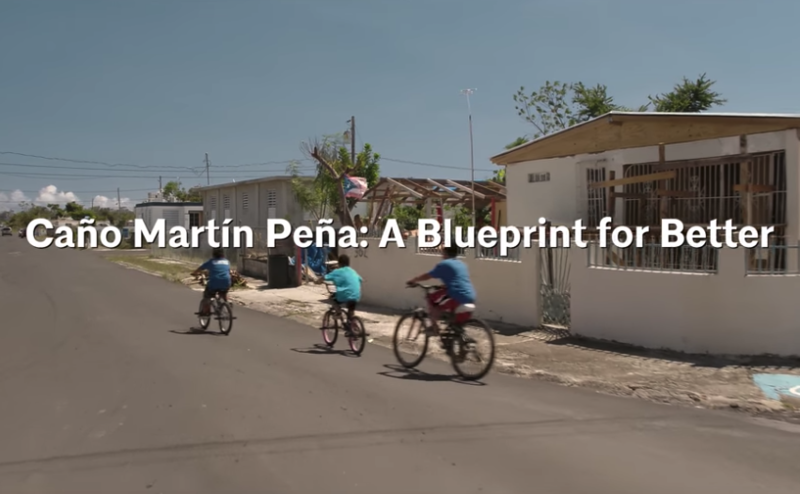 “Caño Martin Peña: A Blueprint for Better” is a short documentary that highlights the resiliency efforts in Puerto Rico after Hurricane Maria slammed the island in 2017 and left more than 3 million American citizens without power. The short film shines a light on the vibrant Puerto Rican community and the many challenges Hurricane Maria brought to the neighborhood. We wanted to feature architects working with local city planners and community leaders to develop innovative solutions to the many infrastructure problems that continue to burden the community. Although our film focused on Caño Martin Peña in Puerto Rico, the story is a poignant example of how local communities can work together, and demonstrates how architects can contribute to Los Angeles neighborhoods. Whether it’s working with mayors, collaborating with filmmakers, or tackling key issues like natural disasters, sustainability, and housing, our local architects are leading the way. This year we’re shining a light on how architects are working with civic leaders to take on the critical issues affecting our neighborhoods with our fourth annual AIA Film Challenge: A Blueprint for Better. The film challenge is taking place right now, and we invite all architects and filmmakers to collaborate and tell stories of how our civic leaders, architects, and communities are working together toward positive community impact. Grand prize winners receive $5,000 and a film screening in New York. To learn more about “Caño Martin Peña: A Blueprint for Better” and the 2018 AIA Film Challenge: A Blueprint for Better, visit aiafilmchallenge.org. We’re accepting submissions for the film challenge through August 27th. You can also follow our hashtag #BlueprintForBetter to join the conversation and share the good work of architects across the city.